We have inscribed ourselves at the international level for proffering the state of the art solutions for preventing the damage of the valves, heat exchangers, compressors, flow meters, spray nozzle or pumps caused by jamming of the impurities. 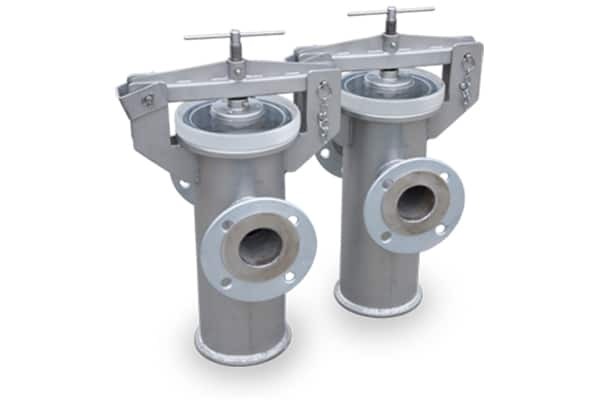 The offered inline basket strainer is placed in the pipeline to filter the impurities from the fluid stream, wherein the body of the strainer is available in miscellany types of material, including carbon steel, cast carbon, stainless steel, aluminum nickel, and copper nickel alloy. The basket used in the inline basket strainer is of 304 stainless steel material and hence does not corrode spanning the life period. The introduced inline basket strainer is meeting the international quality regulations and hence exhibits its high quality, safety and reliability quotient. The design is simple and therefore requires very less time to empty the basket and hence is prominent in the market to protect the valuable process equipment and enhance the system efficiency. The low cost, high efficiency, sturdy construction and longevity are the significant reasons for the popularity of our inline basket strainer, available in far reaching specifications to meet the needs of every individual, which we can provide in India as well as other countries.